Store-bought home decor can be pretty expensive – so why not make your own? 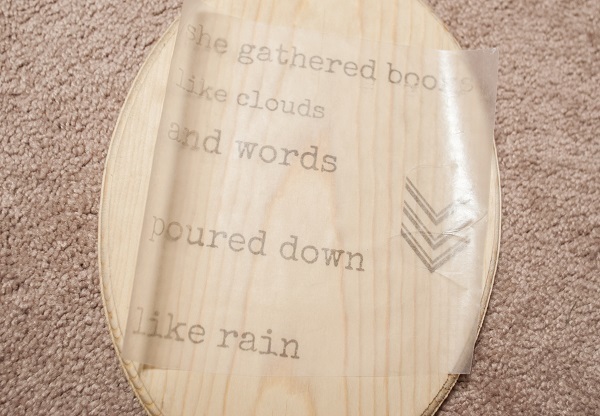 With this wax paper transfer craft not only can you save a bit of money, but you can personalize it and make it say anything you want instead of being limited by the few options a store gives you. The possibilities really are endless! 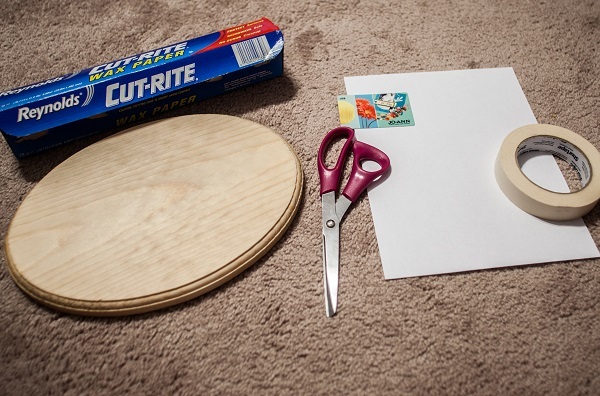 Gather wax paper, a piece of smooth wood (sanded but unfinished is best), printer paper, scissors, tape, and a credit card. 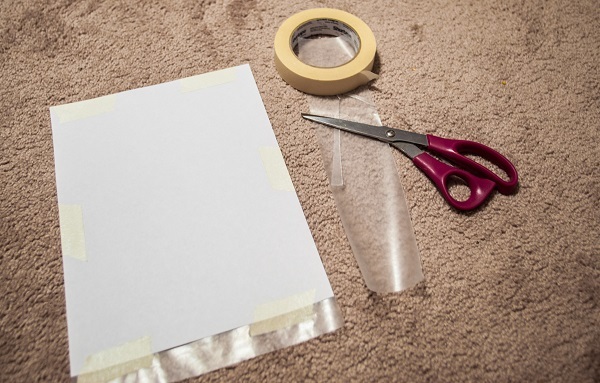 Tape the printer paper to your wax paper. This will stabilize the wax paper as it goes through your pinter. The ink may still smudge but it will be far less. 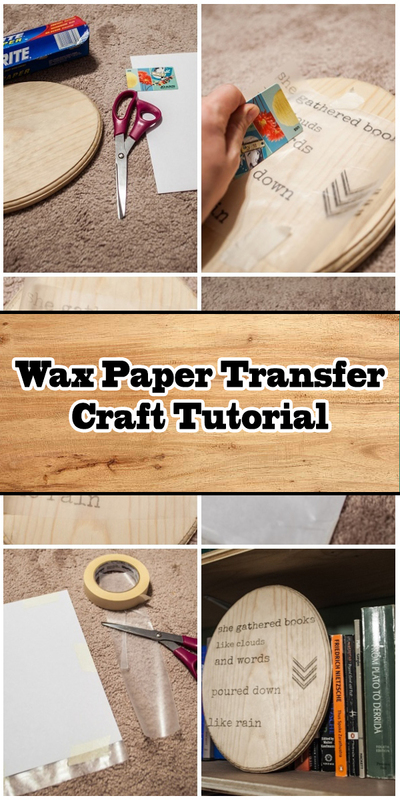 Trim the excess wax paper. 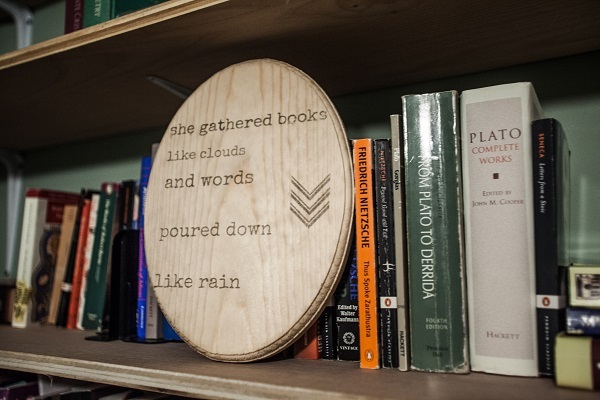 You may use any text or image to transfer onto your wood but it must be mirrored. 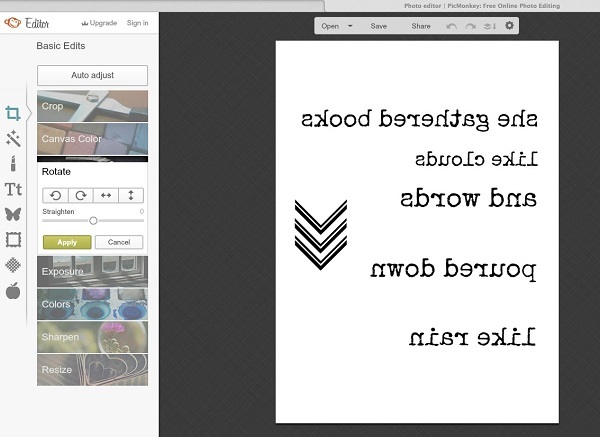 PicMonkey.com is a free online photo editor that you can mirror your image with. 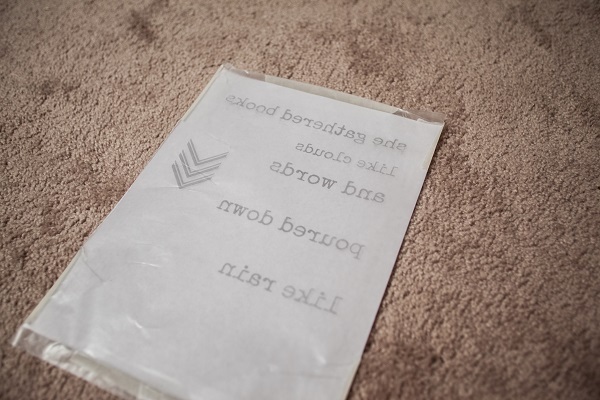 Print the image onto the wax paper. 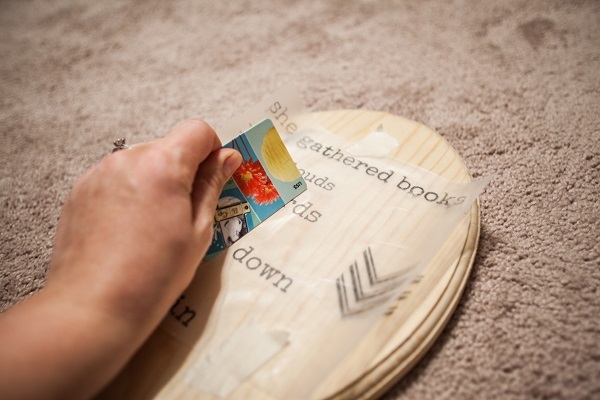 It may help to guide the paper out of the printer so reduce smudging. If your image smudges too much, cut another piece of wax paper and try again. It probably won’t be perfect so relax and enjoy the DIY look of your craft! Carefully place the image face down on your wood. Do not touch the ink as it will smear easily. You also cannot move the image once it is already touching the wood. You may choose to tape it down so it doesn’t move while the ink is transferring. Rub the back of the wax paper with your plastic card to transfer the ink. Carefully remove the paper once it has transferred. The paper will still have ink on it and can still be transferred to fingers or clothing if you’re not careful. Optional: You can seal the image by lightly spraying the wood using a spray on sealant. Do not use too much as it can cause the ink to bleed.